With the politically declared objective to support renewable energy sources and to increase their share in the overall energy supply significantly, wind turbines have developed rapidly over the last few years. In addition to the expansion of locations, the development is characterized by a constant increase of wind turbines’ dimensions (hub height, rotor diameter) and a constant performance increase to up to 6 MW at present (2007). The concentration of values coming along with the performance increase at wind turbines, and increasing requirements with respect to the availability of wind turbines as well as loss experiences made over the last few years have caused J the German Insurance Association (GDV) and J Germanischer Lloyd Industrial Services GmbH, Business Segment Wind Energy (GL Wind) to prepare the present guideline on fire protection for wind turbines. 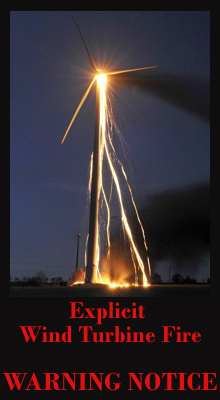 This guideline will describe typical risks of fire given under the special conditions of the operation of wind turbines. Measures for loss prevention will be suggested as a result of the fire risk analysis. The objective is to minimize the incidence rate and the scope of a potential fire damage at wind turbines. In addition to special fire protection measures for detecting, fighting and preventing fires, procedural safety measures and comprehensive control technologies/systems for monitoring procedural operations and conditions are required. It must be ensured that the wind turbine is being transferred to a safe state as a result of early detection of malfunctions of the system.